January is registration month for the 2019-2020 school year, and boy have I been busy! Many of our classes were full with a wait list after the first week! I also have been doing lots of tours from potential new students. A lot of people start with, "I have heard so many wonderful things about Pilgrim Lutheran Preschool from so many people...." That really makes us feel good! I anticipate that we will continue to fill openings from now through summer with open registration. If you know of someone interested in the most fabulous preschool around, please invite them to turn in a registration form to either fill an opening or to get on a waiting list. 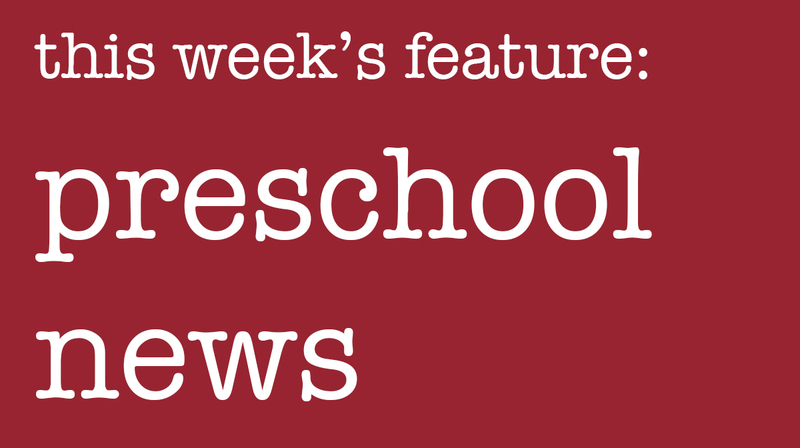 They can email us at , call the preschool office at (317) 846-6132, or print the registration form from the website: www. pilgrimindy.org/preschool. We have been blessed with many wonderful visitors to our school in January. Sarah Williams did a presentation for the 4s classes on Pilgrim's beautiful pipe organ. The children were fascinated and the teachers all agreed that it was a wonderful experience! The 4s class also enjoyed a visit from a dental hygienists during our healthy habits week who talked to us about healthy teeth and gums. We had Mr. Mark Booth (a.k.a. the "Owl Man") from Take Flight-Wildlife Education present a very fun and informative program to the 3s, 4s and 5s classes. He has been visiting our preschool for years and we always look forward to his visit in January! He brings several interesting animals and we all learn a lot! Miss Liz the Science Wiz also did an interesting science program about penguins. During January most classes focused on snow and winter-related activities. It was very appropriate with our cold and snowy weather! We all (yes, the teachers, too!) got to wear our pajamas and slippers to school for Pajama Day. On that day, a children's librarian from Carmel Public Library comes to school to read "bedtime" stories to us. We eat popcorn and watch a movie, and in general have a very warm and cozy day. Thanks again to all of you who support our ministry to our young children and their families in our preschool and our community. Please continue to keep us in your prayers.